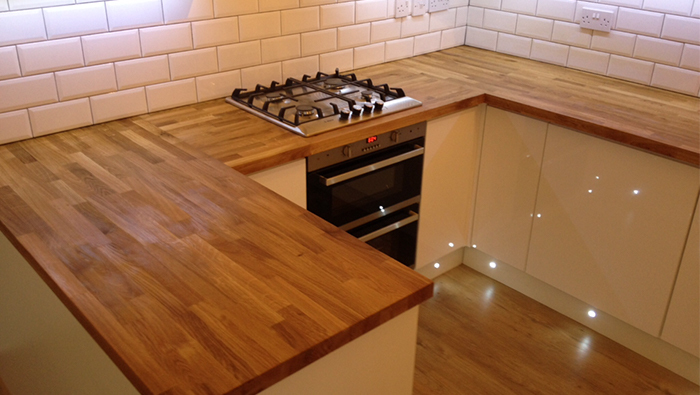 In this kitchen we have plaster boarded and plastered all the walls and painted them. 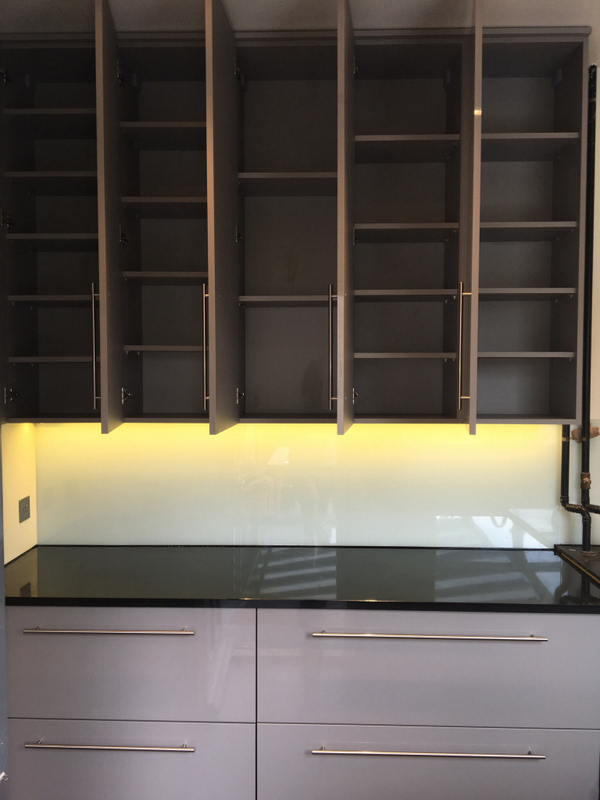 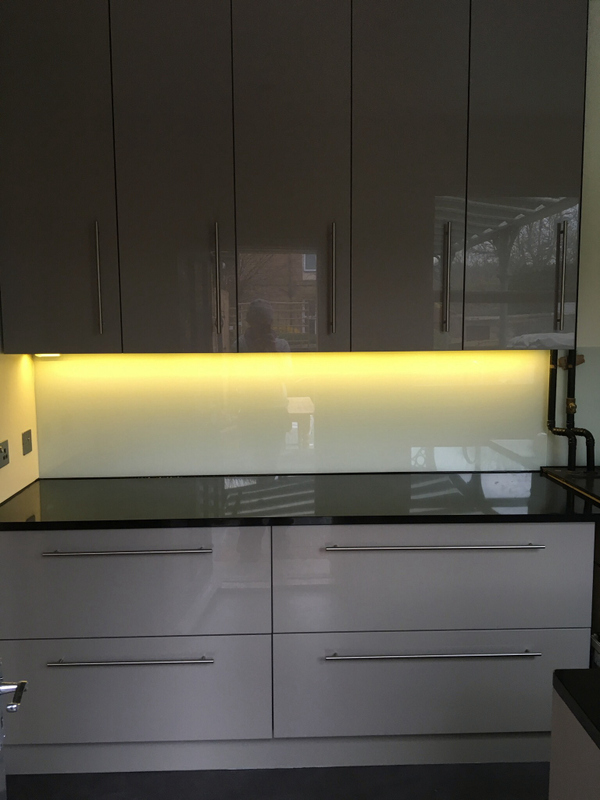 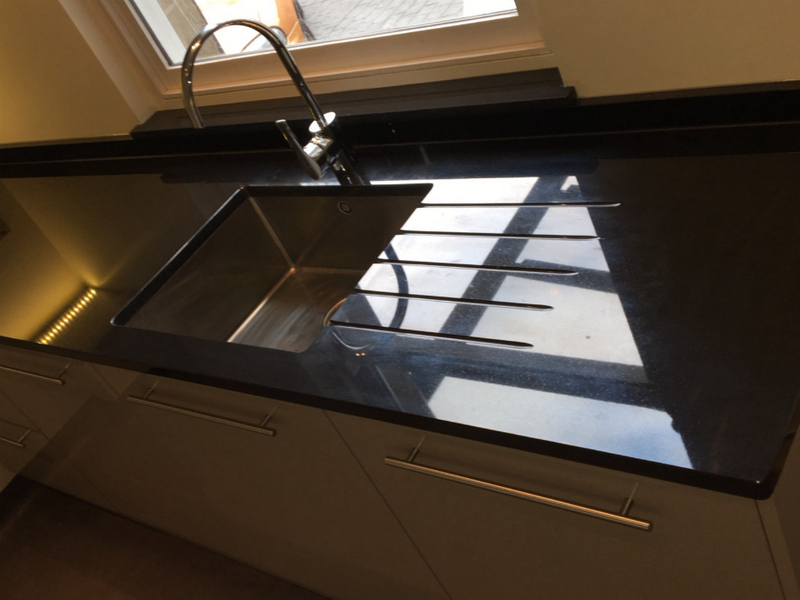 We have supplied and fitted ultra gloss acrylic stone grey made to measure doors with matching made to measure stone grey units, we also made the shelves inside the units with customised spaces to suit the customers needs with stainless handles, glass splashbacks and black granite worktops with under mount sink. 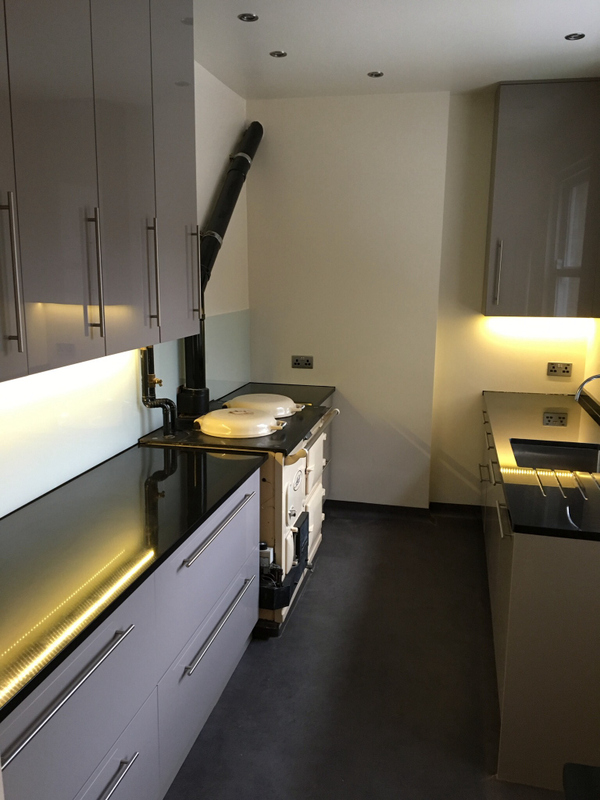 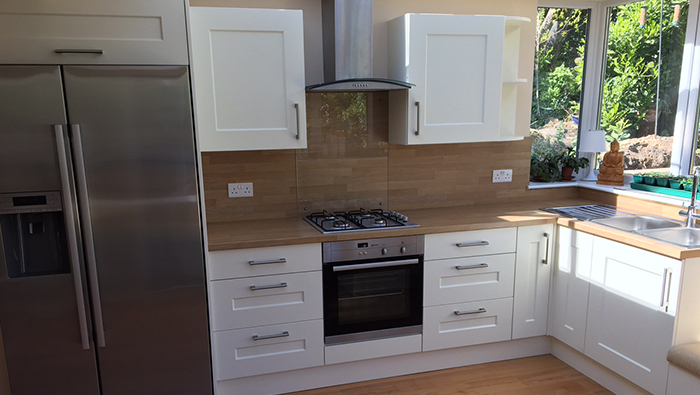 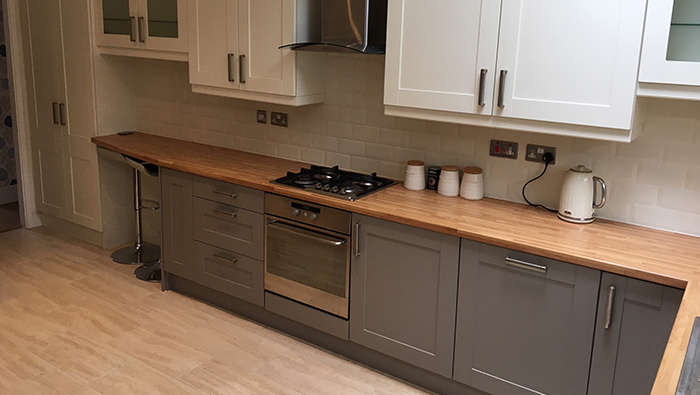 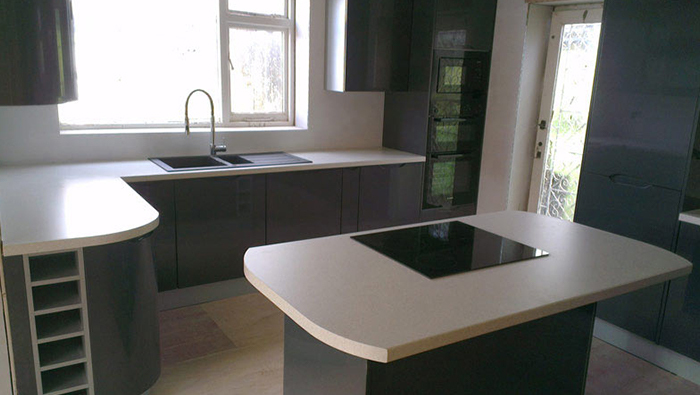 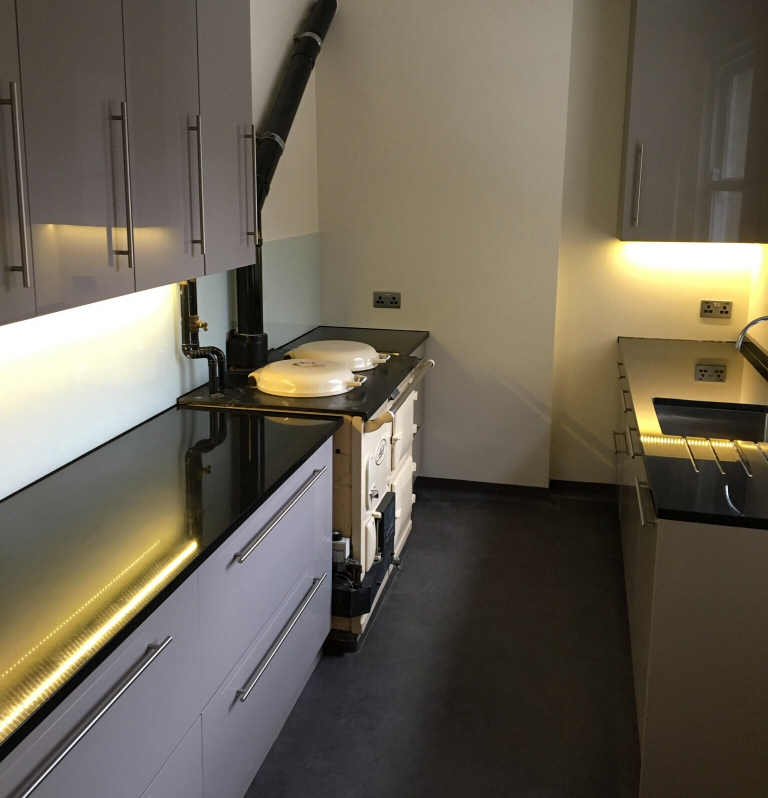 The kitchen was designed and fitted around the customers own Arga cooker.